Wondering what could possibly breathe new life into your home or business? A fresh coat of paint is certainly a great place to start. That said, don’t just get in touch with any painter. The professionals at DJ’s Painting have more than three decades of industry experience. Over the years, we’ve come up with solutions to just about any coating problem imaginable. DJ’s is ready to tackle your next project. Your facility requires more than a standard paint job. At DJ’s, we are proud to offer systems that keep hot surfaces cool to the touch, leading to significant savings on energy costs. Our team looks to consistently stay ahead of the curve and be able to provide clients with the most sensible specification available for their project. We can do it all, from pressure washing and chemical stripping to waterproofing and caulking. It’s no secret that you want your business to look its best. So why not invest in a seasoned commercial painter? DJ’s Painting has experience painting thousands of hotels, restaurants, banks, and office buildings throughout New Jersey. Don’t forget to ask us about installing epoxy floor coatings and waterproofing your building. What exactly makes us the premier house painters in the area? For one thing, DJ’s started out as a residential painting company in 1986. Since then, we’ve only gotten better. You can count on us to write up an estimate with a clear scope of work and well-defined specifications before getting started. 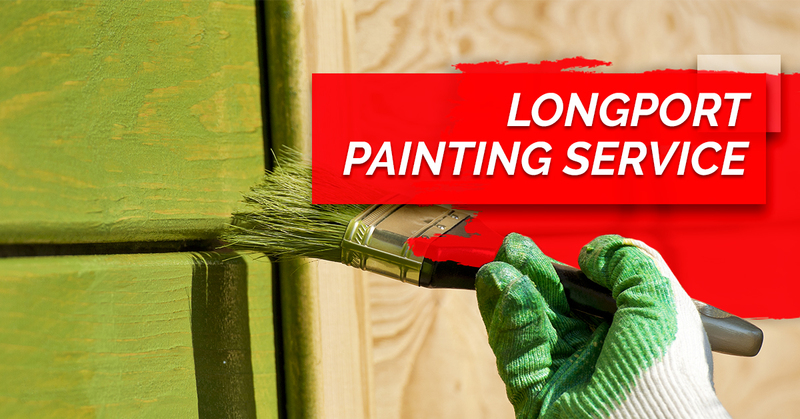 Of course, our painters will get the job done quickly, efficiently, on time, and on budget. You want your painting project to be done right the first time. Let the professionals at DJ’s earn your business. Contact us today for a free estimate.